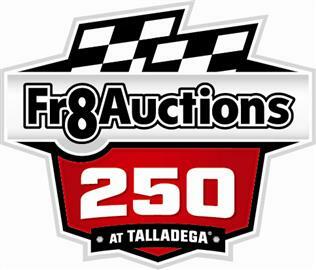 David Gilliland is on the pole for Saturday afternoon’s running of the Fr8Auctions 250 at the famed 2.66 mile Talladega Superspeedway. Coverage of the race will air on FOX beginning at 1 pm ET with the green flag expected at 1:10 pm ET. Parker Kligerman is the most recent Talladega race winner in the Camping World Truck Series. Failing to qualify for the race were Norm Benning, Joey Gase, Ray Ciccarelli and Jamie Mosley.